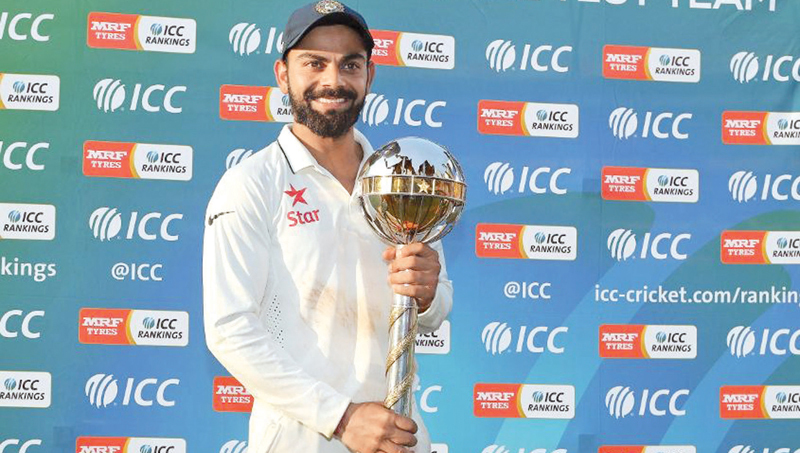 Indian captain Virat Kohli with the ICC Test Championship Mace. The Kane Williamson-led side, who also had the satisfaction of seeing their captain get the ICC Spirit of Cricket award for 2018, earned $ 500,000 after finishing with 108 points, eight behind India. 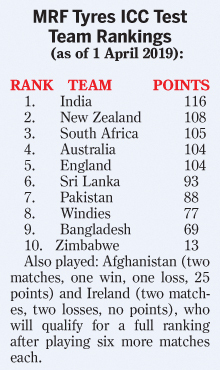 South Africa, who had finished second the previous two times, will now get a prize money of $200,000 for finishing third with 105 points while Australia who edged out England on decimal points at 104 points bag $100,000. ICC Chief Executive Manu Sawhney: “Test cricket has been enjoying a purple patch over the last couple of years with more positive results than ever and a genuine competitive balance between nations. The World Test Championship gets underway in August and will give fans greater context for all Test cricket providing an undisputed conclusion to some of the most renowned cricket rivalries in the international game.